This summer we went on a family vacation to California. It was the first time we took our kids on an airplane and the first official vacation. It was possible because Stephanie wasn’t living with us. It turns out that our kids are exceptional vacationers. I began dreaming of other vacations we could go on as a family. Then we placed Stephanie in a private facility with a hefty monthly tuition. “There goes any chance of a vacation,” I said to Andy. So we moved Stephanie into a facility that is too expensive for us to maintain. It was an act of faith. I feel a little awkward writing about money. Mostly because I don’t think much about money and some because money is supposed to be private. I struggled with paying a monthly tuition that would negatively impact our family life. I struggled with thinking about giving up vacations and how much of a first-world issue this is, yet it seemed to matter. Our vacation to California wasn’t frivolous. It was a time of healing and bonding and changed the course of things for our family. I couldn’t believe that a good God would hinder us with an impossible monthly fee. It didn’t jive with who I know God to be. Our God works out all of the details. God wouldn’t provide a facility for Stephanie, only to create conditions for resentment or debt for our family. That’s not the way God works. Instead of fretting, we accepted the placement and decided to trust God for the monthly tuition. I assumed I would learn to give up the things we really don’t need, like vacations and Netflix, and I would learn to cut our grocery bills and shopping expenses. It is true that we have an abundance. I braced myself to break the news to Karianne, our 2011-2012 exchange student whose family has become our extended family, that we wouldn’t be able to accept her invitation to go to Norway to celebrate her accomplishment of becoming a dentist. I began making meal plans that were cheap instead of complex. I started a list of articles to write and planned to skip TV with Hannah to write instead. I prayed for speaking gigs. I resisted the urge to become resentful for the things we were giving up to provide for Stephanie’s needs. I kept asking God to help me believe Him to be who He said He will be. We originally committed to an 18 month placement for Stephanie. Because of the generosity of a handful of people, all of the tuition is covered for these 18 months. Joe is right: money is easy for God. We don’t feel like a charity case, and we don’t feel judged for accepting tuition money and purchasing flights to Norway. We didn’t campaign for support; we believed it would be about working out our budget and accepting extra work. Our God isn’t into punishing people for being obedient. It turns out that God does care about vacations, evening TV and smoked salmon for dinner. In fact, it is a beautiful picture of how God uses the Church. 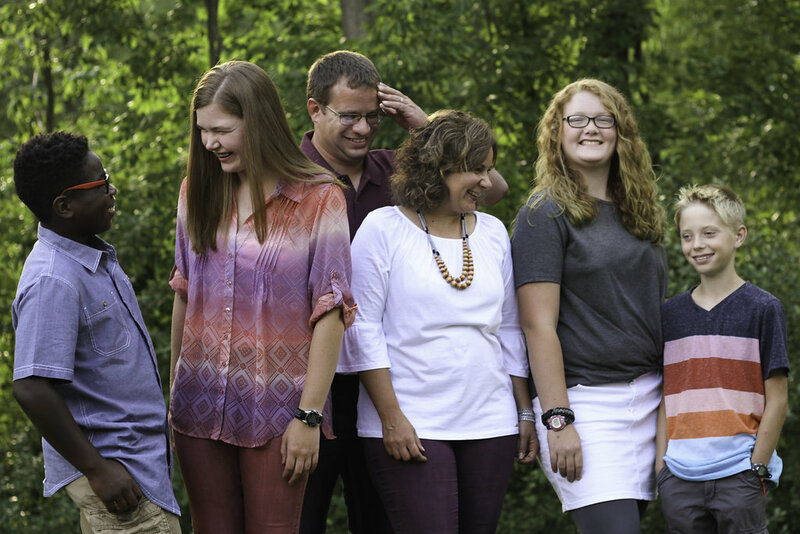 For us, we were called to adopt an aggressive child from foster care. For others, they are called to write a check so the same child has the best chance at wholly healing. God doesn’t expect us to work in isolation. He wants us working together. I can love a hard to love child. Someone else can write a check that seems overwhelming to me. Together we complete an assignment God has given the Church — to provide for orphans, even the hard to love ones. Even though I don’t want to write about money, it doesn’t seem right to keep this part of the story a secret. God provided the impossible. Stephanie is in a faith-based facility where she can live in a home environment, graduate from an accredited high school, and receive intense therapy. We don’t have to worry about the monthly tuition, because it is taken care of by people who understand the Church is not a building, but a network of believers. God wants us to trust Him to take care of the details. When we do, we find that God’s thing is abundant blessings. Once again you have found the best words to write about something tough to share. Each time you do, you honor the story of your beautiful family, and you honor your readers by trusting our hearts with your truth. Thank you! “God doesn’t expect us to work in isolation.” Praise for those who are stepping forward to help, for this incredible network of believers that are part of the community of God. “Our God works out all of the details.” Your words and your stories strengthen me. Thanks for writing, Ruth. Thank you, Ramona. What is totally amazing about those who have volunteered to help with the tuition is they are from all different circles of our lives. God is so good. Trusting God is so difficult, but when you have faith, it is easier. What a wonderful community of souls who have stepped in to help in an impossible situation. Hugs to you all. Faith is a game changer. It’s had the biggest impact on Hannah’s life in 2018. I can’t wait to see how she will one day share her story. Thank you for sharing this. Needed the reminder in my life.